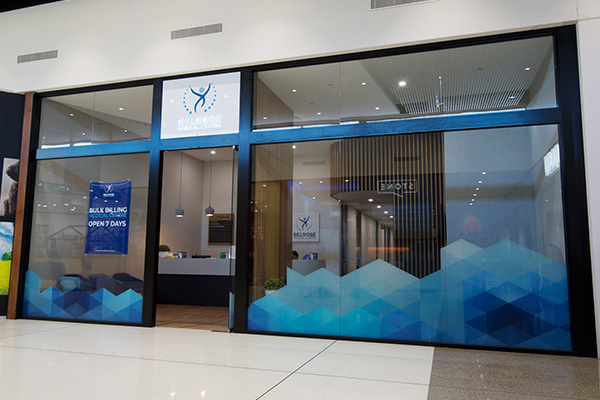 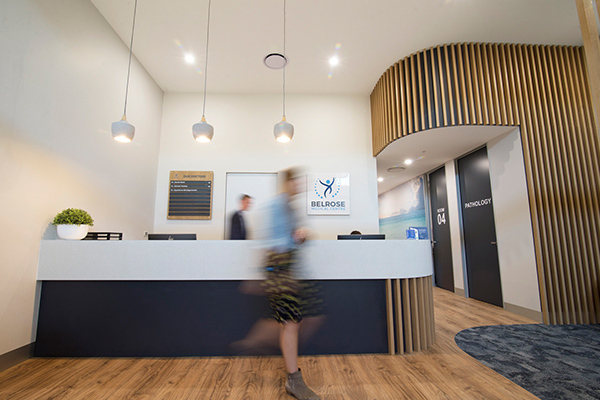 Belrose Medical is a comprehensive medical facility catering to all client health needs and requirements. 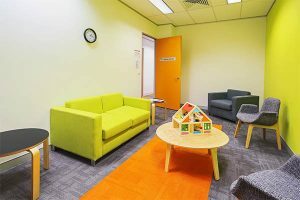 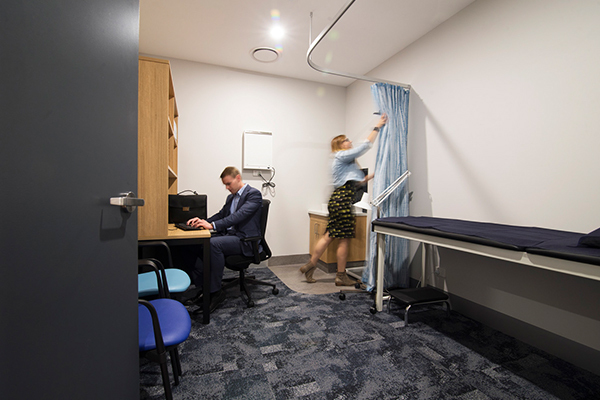 The 228sqm medical centre also offers a range of medical and Allied Health services, providing accessibility and convenience in services. As the facility is a bulk-billing practice, operating seven days per week, the space sees a high volume of patients on a daily basis. 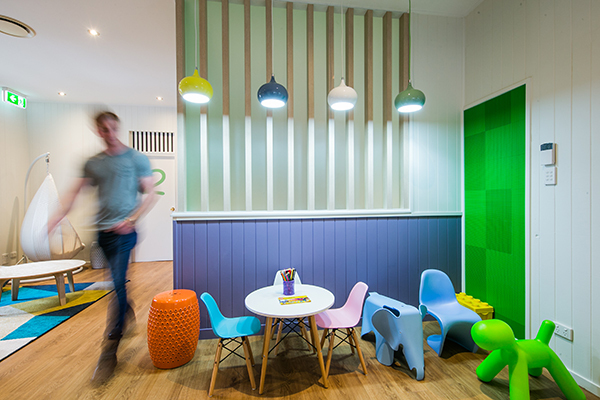 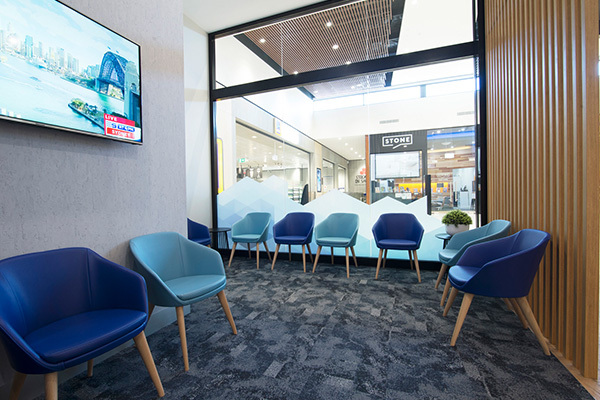 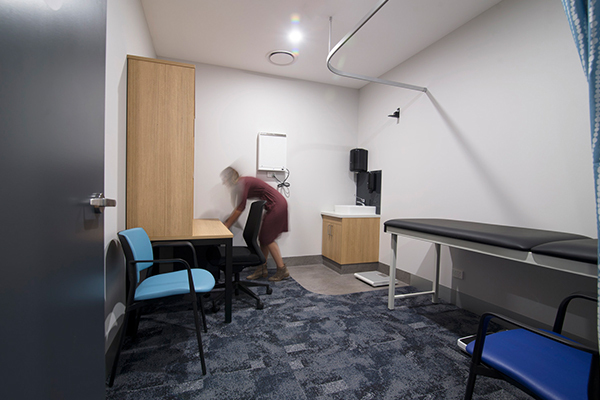 This presented Interite Healthcare Interiors with the need to create an area in which will accommodate all clients through privacy, comfort and space, whilst influencing better efficiency in order to mitigate any delays and mistakes in the busy environment. 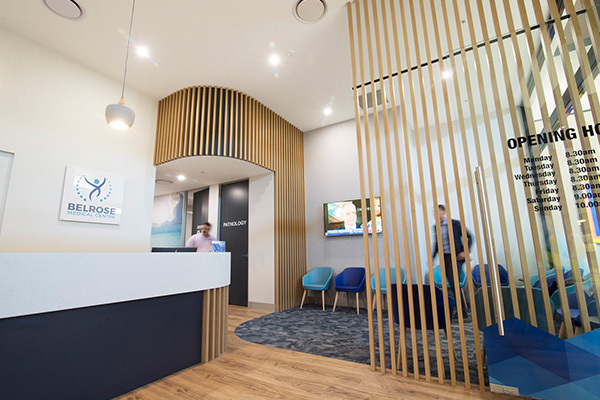 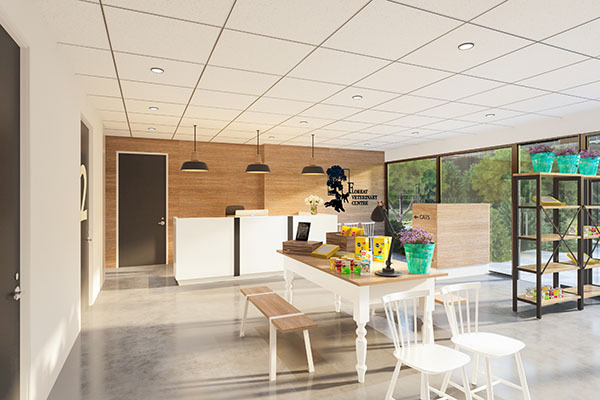 Interite Healthcare Interiors developed a structural layout in which arranges all main consultation rooms throughout the main hallway, joining directly into the main waiting area. 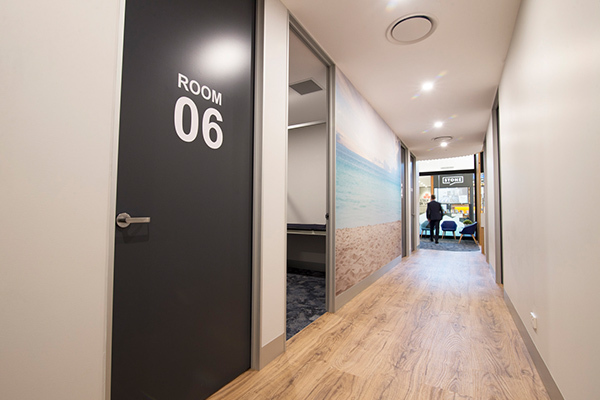 This provides, ease in wayfinding and efficiency, mitigating long transits between areas and delays. 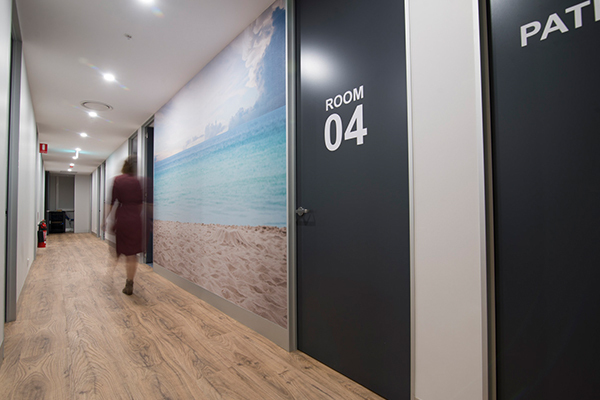 Wayfinding is further encouraged with the use of large and centred signage, aesthetically reflecting the design and also presenting a visual understanding of which room is which. 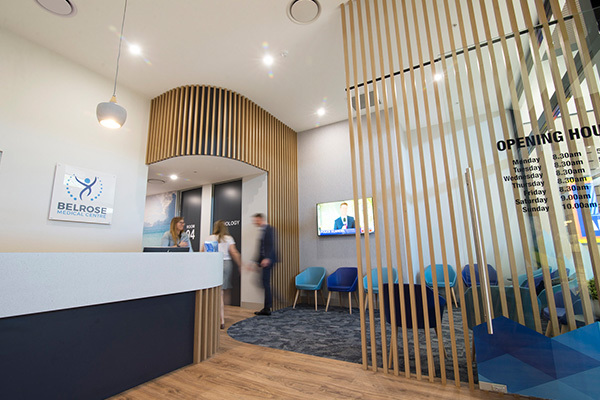 The reception area is strategically designed to curve through two main waiting areas, providing choice and accessibility to all users. 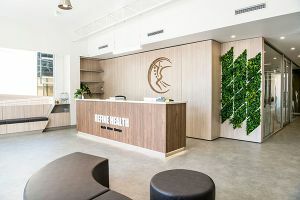 This clever design is aesthetically appealing as there is a distinct, clean balance between natural and man-made elements; coupled with the use of the thought-out colour palette, a sense of sophistication encompasses the functional layout. The client requirements and needs were perfectly executed throughout the scope of works, inclusive of preliminaries, internal building works, all services, all joinery and furniture, sundries and project management.